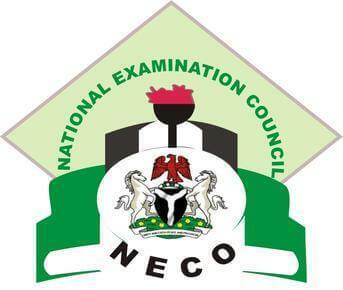 NECO Civic Education Obj And Essay/Theory Solution Questions and Answer – JUNE/JULY 2018 Expo Runz. i) Protection and defense: It is the responsibility of a father to protect and defend his family members in times of troubles. iv) Training of children: It is the priority of the mother to train the children on basic household chores and help the children to be responsible. i) Positive values: positive values applies to things or qualities which are good, desirable or worthwhile. For example include truth telling, hard work, obedience etc. ii) Negative values: This is a bad value, unacceptable or worthless value that the society frown at. Examples includes late coming to school, truancy, lying, armed robbery, indecent dressing , fraudulent acts, etc. iii) Intrinsic values: Something has intrinsic value when it is good or desirable for its own sake and in itself. For example, good music, beautiful flowers, particular dress, type of handset, type of house and other value giving satisfaction to the beholder. iv) Instrumental values: This is value that persons attach to objects or things that can be used for achieving another thing. For example, a good knife, a good music, a good handset. Also, drugs can be an instrumental value because prescribed drug cures illness etc. v) Absolute values: These are values that are not conditioned or stick to time, place or circumstance. They are always positive, good and worthwhile. They are always refer to as eternal and universal values, they hold positive and good at all places, circumstances and at all times. Examples of such values are: trust, honesty, hard work, discipline, tolerance, obedience etc. vi) Relative values: These values depends on time, place or circumstance. This means that situation and current happening will determine the direction of the affairs. For example, killing is bad and it is an act that people frown at, but what of mercy killing or killing a person to save one’s life. It’s a case of another good example of relative value. i) A citizen in a democracy should have the duty to vote. If it were up to me, voting would be a requirement. What is wonderful about a democracy is that we choose who will represent us. There is no point to a democracy in which we do not participate. ii) A citizen in a democracy should have an obligation to understand the powers and duties of the government, generally set forth in a constitution. If we do not know this, the government that does not act properly has no checks upon it and can avoid carrying out its duties. iii) A citizen in a democracy should have the responsibility of knowing his or her rights, which are also generally set forth in a constitution. If we do not know what our rights are, they are meaningless. iv) A citizen in a democracy should always know who his or her representatives are. If we do not know who is representing us, we do not know whether or not that person is representing us properly, to whom we should complain if that is the case, or to whom we should state our own opinions and preferences. PLEASE DONT SEND 100 NAIRA CARD IN 10 PIECES FOR ENGLISH DIRECT SMS OR 100 NAIRA IN 6 PIECES FOR ONLINE PIN. 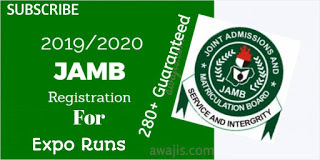 Verified NECO 2018 June/July Civic Education OBJ and Essay Answer and Solution to the questions. 0 Response to "NECO 2018 Civic Education Obj And Essay Answer – June/July Expo"